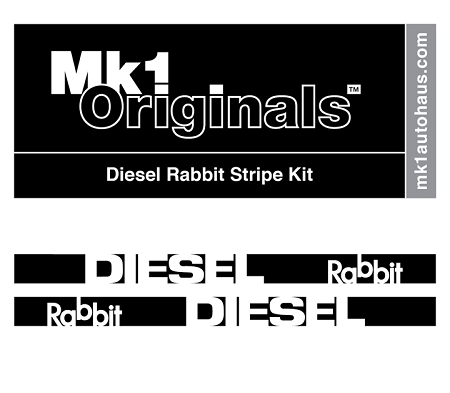 : The Diesel Rabbit kits were a little known accessory available in the late 70's and early 80's. With very little searching, you can find some original press photos online. 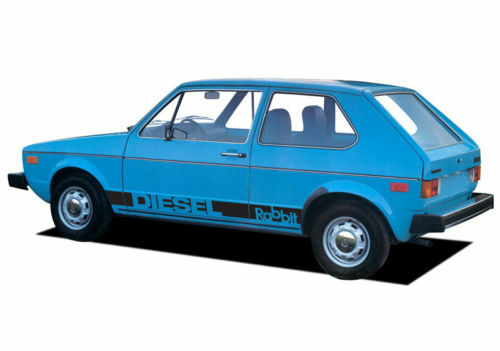 : These are not universal kits as others sell; these are vehicle specific. : Available in Matte Black, Satin Silver and Matte White - MAKE SURE TO CHOOSE THE COLOR YOU WANT FROM THE OPTIONS DRAG DOWN ABOVE. : Kits are made of high quality Automotive 3M Scotchcal 2 Mil. Reward Points 92 points will be rewarded to you when you buy this item.